For someone to become a true samurai they need to be well versed in the art of fighting, swordplay, movie-going, comic book collecting, as well as reading, writing, and championship basketball. If you don't believe me, then I suggest you check out the following interview I did with my Canadian friend, Mikel Miles, as he knows a lot about that samurai movie-going stuff. 1) What are your origins, Mikel? My name is Mikel Miles, I come from Toronto, Canada, and am a graduate from the Notre Dame Secondary High School. I began writing ever since I was in the 5th grade, 9 to 10 years old, during those years when the Chicago Bulls were winning the NBA Championship, while Micheal Jordan was fast becoming one of my all-time favorite basketball players, and still is. During my lunch breaks I would draw and write about my favorite moments in life, like the time I had the flu while playing a game against the Utah Jazz. Admittedly, it was a crappy drawing, but at least the writing was good. Well, that's what my teacher told me after I finished it and handed it to her. 2) What inspired you to create, ‘Samurai Shin’? A year ago my friend Ivan Earl Aguilar and I were brainstorming ideas based on a lot of Japanese films and animation. 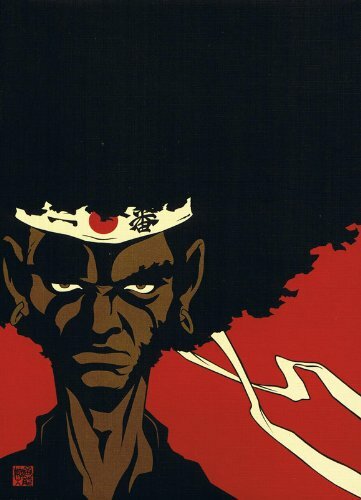 From our discussions we noticed that we kept on coming back to three key anime films, time and time again: 'Afro Samurai', 'Samurai Champloo', and 'Sword Of A Stranger'. Those were the three main sources we analysed as best as we could, trying to find out what the essence of Japanese animation and culture really is. On the flip side of things, however, Ivan and I would also try to make Samurai Shin different too, story-wise. 3) In your own words, how would you describe this story? The story evolves around two main characters, 'Afro Asian' and 'Caucasian Asian', the Samurai Shin: the two main characters that we see on the cover which defines what the comic book is all about, diversity. I personally believe that's what's lacking in the manga / anime scene today. We are all aware that Japanese culture sees their own kind first, which we much respect and understand, yet what we are trying to do with Samurai Shin is to incorporate diversity into this brand so it can reflect what is happening to the rest of the world. 4) What song would you say best represents this comic and why? 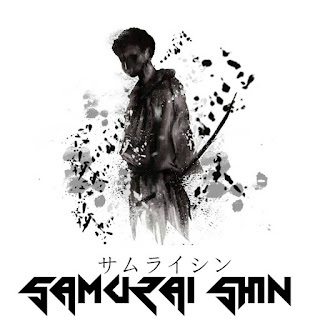 I normally executive produce soundtracks based on the Samurai Shin comic book, soundtracks that represent the tale like 'Chill $quad: Stay On Point' plus 'Boy With A Sword'. 5) If you could get a celebrity – either living or dead – to promote your wares, who would you choose, and why would you want to choose this particular person? I would like to have four people promote my work: Takashi Okazki, the creator of 'Afro Samurai'; Nujabes & Fat Jon, the two producers on 'Samurai Champloo OST'; plus RZA, the executive producer on 'Afro Samurai'. The sad thing is, is that one of these producers is no longer with us, Nujabes, may he rest in peace, yet it would be great to see him working with Fat Jon again. 6) What have you learnt about yourself through this endeavor? Basically I've learnt that it's always fortuitous to push yourself and work hard to make your dreams come true. 7) During your time in this field, what is the one thing that has kept you in good stead? I get a lot of support from my family, my friends, my fellow artist friend Ivan, as well as the other people who support us, which makes this writing experience an enjoyable one. 8) If ‘Samurai Shin’ had a motto, what would it be? Actually, the real meaning behind Samurai Shin is "The Samurai Of Truth". That’s how we thought of the name in Japanese and basically its the motto. 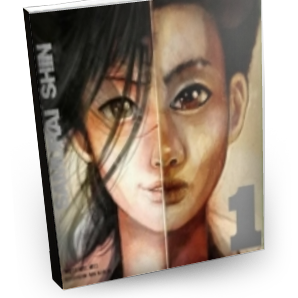 And on that note, I'd like to thank Mikel for telling us about his comic book, Samurai Shin, before directing you towards his website, twitter, and facebook pages. And while you're at it, don't forget to pick yourself up a copy via peepgamecomix.